The recent India visit of Canadian Prime Minister Justin Trudeau failed to hit the right note for India- Canada investment potential. For two economies as culturally interlinked as India and Canada, the intensity in trade ties have always flattered to deceive. In 2017, bilateral trade between the two nations stood at $8.4 billion with India having a trade deficit of approximately $2 billion. Trade has grown since 2010, when it was just $3.21 billion, but it still does not reflect the true potential. India accounts for only 1.95 per cent of Canada’s global trade. These are underwhelming numbers in the face of deep cultural roots that the two countries share. The Indian diaspora is now a sizeable part of Canada’s demography and accounts for over 3 per cent of the country’s population. It is also well represented in federal Parliament and provincial legislatures. In the present House of Commons (elections in October 2015), there are 21 MPs of Indian origin (up from nine). Four of them now hold Cabinet berths – up from two Ministers of State in the last Cabinet. 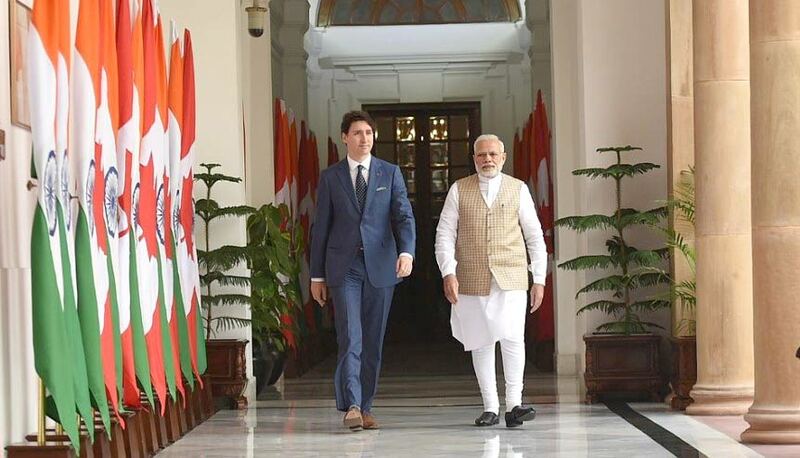 Canadian Prime Minister Justin Trudeau’s seven-day state visit to India in February was expected to impart the required thrust in nurturing trade ties between the two countries. The two nations are negotiating a bilateral investment treaty, the Bilateral Investment Promotion and Protection Agreement (BIPPA), and a free trade agreement, Comprehensive Economic Partnership Agreement (CEPA), but progress on both fronts has been tardy. Right from the moment Trudeau and his entourage, which included his family of five, touched down at the Indira Gandhi International Airport in Delhi on February 17, the trip was marred by a diplomatic standoff that refused to ebb for the better part of the seven days he spent in the country. He was received at the airport by a minister of state for agriculture, who is not even part of the Indian Cabinet. While it does not flout any protocol, in many cases, Prime Minister Narendra Modi has himself received heads of states at the airport. Some also perceived this cold shoulder treatment was further extended at the Canadian Prime Minister’s visit to the Taj Mahal, where the state chief minister Yogi Adityanath failed to turn up. The grapevine went into overdrive to speculate on the reason for this apparent snub. Trudeau’s Liberal Party’s perceived ties with those who support the Khalistan separatist movement of the 1980s in India, and an invitation sent out to Jaspal Atwal, a convicted Khalistani terrorist, to a pair of high level receptions were bandied around for the frostiness. India steadfastly refuted any suggestion of a less than warm welcome being extended to the Trudeaus and the Canadian administration itself apologised for the Atwal incident and the invitation was promptly rescinded. Yet, the needless controversies did cast a rather long shadow on the Canadian visit. By the time Trudeau met Modi on February 23, the last day of his visit, the controversies had cooled off but a bitter aftertaste lingered. The biggest take away from the joint statement issued after the meeting was the promise to finalise “mutually acceptable technological protocols” within 2018. The seemingly innocuous statement has far reaching implications in the current scenario as it could enable export of Canadian pulses to India free from pests of quarantine importance. India’s decision in November to raise import duties on pulses by up to 50 per cent and putting stringent fumigation requirements impacted Canada the most, which supplies pulses of around $1 billion to India every year. Canada had been exempted in the past from any fumigation requirement as the cold climate there was not conducive for the pests to survive. That exemption expired last September and has not been renewed yet. At the same time, India gave less time to Canada to comply with the new fumigation norms compared to the other countries like the US and Australia. India has been the largest market for Canadian pulses, peas and lentils. Traditionally a net importer of pulses, India has since last year received a bumper crop in pulses and is unwilling to import the staple food, to protect domestic farmers. The controversy over tariffs on pulses may just be a passing thing but it does highlight the moribund state of affairs between the two nations. The negotiations for a Canada India Economic Partnership Agreement (CEPA) trade deal for example has not moved an inch even after 10 rounds of talks over at least seven years. Talks on CEPA began at the end of 2010 after Prime Minister Stephen Harper visited India and a joint study forecast a deal would produce a GDP gain of $6-15 billion for Canada. The following year’s throne speech declared the government’s intention to complete negotiations on the deal in 2013. Similarly, the two countries have not been able to arrive at a consensus over the relatively more tangible BIPPA. India was close to signing an agreement in 2014 but following the election of the Narendra Modi government, a draft BIT (bilateral investment treaty) was brought in that diluted provisions like investor-to-state dispute settlement mechanism and asked all partner countries to renegotiate such existing treaties. This put Canada in a spot as it had already spent substantial energy and time in negotiations and did not want to protract anymore. India now wants both BIT and CEPA to be finalised simultaneously for a more balanced outcome. It isn’t however, as pessimistic as it may sound. 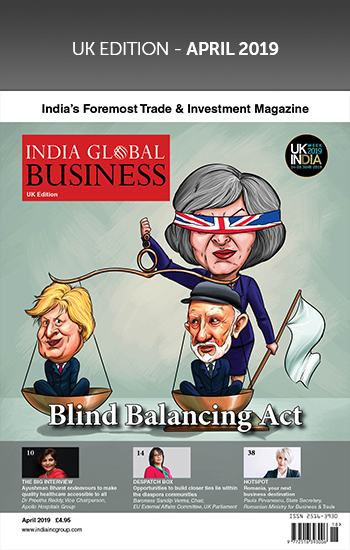 India’s growing prominence on the global stage has largely not reflected on its ties with Canada but things have begun to change in the last few years. In his only visit to Canada in 2015, Prime Minister Modi had secured a landmark nuclear energy deal with Canada for supply of 3.2 million kilograms of uranium over a five-year period. It had formally ended a long-standing moratorium on Canadian exports of nuclear to India. In the 1970s, India used Canadian technology in its nuclear programme and came 45 years after Canada had banned uranium exports to India. 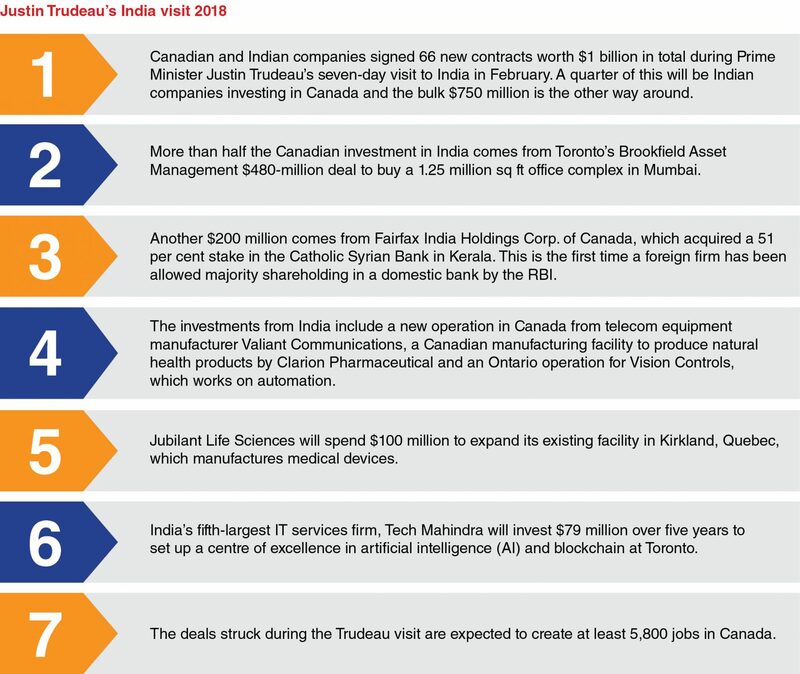 The political rumblings aside, Canada’s open economy and ease of doing business has always lured Indian companies to invest there. The cumulative India FDI, as per Statistics Canada in 2016, was $2 billion as against Canadian FDI of $0.9 billion in India. Indian companies have invested especially in the IT, software, steel and natural resources sectors. Substantial operations in Canada include Aditya Birla Group, Essar Steel, Tata Consultancy Services, Tata Steel Minerals Canada, Tech Mahindra, WIPRO, Infosys Technology, Jubilant Life Sciences, Abellon Energy Inc, IFFCO and Gujarat State Fertilisers and Chemicals Limited (GSFC). Two banks – State Bank of India and ICICI – also have seven and nine branches respectively in Canada. The Birla Group — which already owns pulp mills in Ontario and New Brunswick— has plans to expand in three areas in Canada, in fibre, carbon black and aluminum products. At over 1.2 million, Indians account for the second-largest immigrant community in Canada. Over 124,000 students also land on Canadian shores every year for education. Thanks to the large Indian community there, Canada is also a favourite tourist destination. Trudeau’s visit may not have achieved much, but with so much going for it, the inertia in trade between the two countries is bound to be temporary at best. Canadian and Indian companies signed 66 new contracts worth $1 billion in total during Prime Minister Justin Trudeau’s seven-day visit to India in February. A quarter of this will be Indian companies investing in Canada and the bulk $750 million is the other way around. More than half the Canadian investment in India comes from Toronto’s Brookfield Asset Management $480-million deal to buy a 1.25 million-square foot office complex in Mumbai. Another $200 million comes from Fairfax India Holdings Corp. of Canada, which acquired a 51 per cent stake in the Catholic Syrian Bank in Kerala. This is the first time a foreign firm has been allowed majority shareholding in a domestic bank by the RBI. The investments from India include a new operation in Canada from telecom equipment manufacturer Valiant Communications, a Canadian manufacturing facility to produce natural health products by Clarion Pharmaceutical and an Ontario operation for Vision Controls, which works on automation. Jubilant Life Sciences will spend $100 million to expand its existing facility in Kirkland, Quebec, which manufactures medical devices. India’s fifth-largest IT services firm, Tech Mahindra will invest $79 million over five years to set up a centre of excellence in artificial intelligence (AI) and blockchain at Toronto. The deals struck during the Trudeau visit are expected to create at least 5,800 jobs in Canada.